Paul Mison’s Maximum Viable Product feels like a more clever (if more cheeky) way to get at what I was trying to say with my notes on Flourishes and Minimal Competence (and Competence found), and threads the needle of recent 4up from Aaron and The Flickr We Lost from Dan. I don’t have much conclusion as much as a sense there’s a thing there that I’m still trying to get my hands around. The other piece I wonder at about this is the role of sophisticated testing and measurements and being the user. I hear that engagement is way up in the wake of Flickr’s changes, and I know I’ve been gone a long time and things have probably changed, but I can’t help but be struck how unsophisticated we were at measuring things at Flickr — in part because we were a tiny team, and in part because we relied on our instincts. It makes me wonder what’s guiding the current work. As appealing as it is. You see novels, modern novels, are a particularly peculiar form of creativity primarily characterized by being the point of view and output of a single individual. Most software, and most bridges, aren’t like that. Maybe you’re writing novels, but most of us are doing improv theater. I met Mr. Chaturong this morning. It was 6:30am and he was waiting with his taxi and his 7yr old son to drive us to our dive spot. It was a peaceful morning, up a small mountain, some dew still on the broad green leaves, away from much of the bustle of Thailand (if Koh Tao can be said to have any bustle at all). He might have been about 40 years old, I didn’t ask. I did ask if he was from Koh Tao, I hadn’t yet met someone from Koh Tao in the 4 days we’d been here, but I kept asking, here is what he answered. If you need a taxi in Koh Tao his number is 089 0049117. I gave a talk last October at the First Round CTO Summit on what we’d learned at Etsy about hiring great engineers and in particular great women engineers for our team, and a little bit about the promising results we’d seen from the Etsy + Hacker School program. The video went up last week, it’s 18 minutes long, it was given in a venue that was originally off the record and aimed at CTOs, and talks primarily about the work that Marc led. Folks seem to find it interesting, which is deeply gratifying. NB: also when I say “81 of them were women”, obviously I meant “81 of them were men”. This is the problem with giving talks on back to back days on different topics in Tokyo and San Francisco, you aren’t at your most polished. The slides are on slideshare. The Atlantic wrote up their interpretation of the talk. 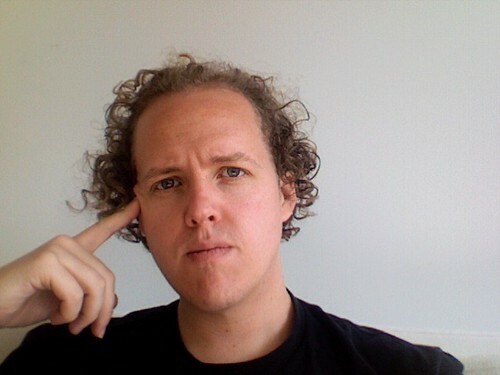 I was talking with Aaron and Blackman a week or so ago about the state of reverse geocoding. This is the business of turning a lat/long into a named place. Besides a neat party trick it turns out that named places have a few benefits over floating point pairs. while technically the space is infinite and the lat/long space is finite, in practice the names we use to call places converge rapidly to a very small set (in any given region), and for whatever reason (natural or historical) seem to have an affinity for being hierarchical. Both good properties for clustering, compression, and discovery. humans don’t tend to think in floating point pairs. even if places had neat boundaries, and people agreed on them, availability of information about those boundaries is variable at best. Also it turned out not many people cared, and the ones who did tend to care extraordinarily when we got it wrong. And they cared most passionately about the things that were hardest to get right, points near borders, contested neighborhoods, etc. Most folks dealing with geo presently bypass this whole problem, and instead go straight to human places, named things, a bar, a restaurant, a rest stop on the side of a highway. And Foursquare has done an amazing job of aggregating and sorting out human attention (and intention) around these places. But that doesn’t mean the problem is solved, merely deferred. Not all of life’s interesting moments take place in bars (just most), and when aggregating information across multiple steams collapsing onto human labelled places is challenging. Plus, it’s just dumb that a 100mil+ people carry GPS device in their pockets and we have to buy expensive proprietary data to find out about the shape of where we live. Are you shipping a location based mobile app? Would you like to increase engagement? Consider adding a quiz to your app asking people whether they’re in Williamsburg or Northside? Are they in the Bay Area or the East Bay? Is this the Burlingame or the Pennisula? And then publish that aggregated data. People love quizzes, Flickr released a piece of software for turning those answers into shapefiles, the answers change over time, and paying someone for this info is silly. But seriously, if you’re presenting people geographic data, ask them sometime if you’re getting it right. We got married two weeks ago today. It was the wedding we always wanted. After 13 years you don’t expect it to change much about your daily lives. And it doesn’t change much, but there are subtle (awesome) changes. For one, I’m wearing a ring. I’m just now adapted to where I’m no longer aware of the sensation of wearing the ring. I don’t feel it on my finger unless I focus on it. This is an odd reminder of how much of what we take for objective reality is the subjective pastiche of our brains survival oriented signal prioritization routines. Once or twice a day I flash panic that I’ve lost my ring when I realize I can’t feel it on my finger, milliseconds of active querying my finger for touch sensations followed by a quick glance. I wonder when I’ll internalize the odds sufficiently to realize that even though I can’t feel it, the ring is there. I wonder what other things I’ve come to assume exist without any sensory confirmation. I all of a sudden realize how people lose their rings. There seems to be a metaphor in there for relationships that I’ll leave unexplored today. Do other people’s wedding rings have magic powers? Am I suggestible to the idea that a ring should be magic because the literature is so full of magic rings, or is the literature so full of magic rings, because rings are inherently suggestive of being imbued with magic? Mine stores memories. 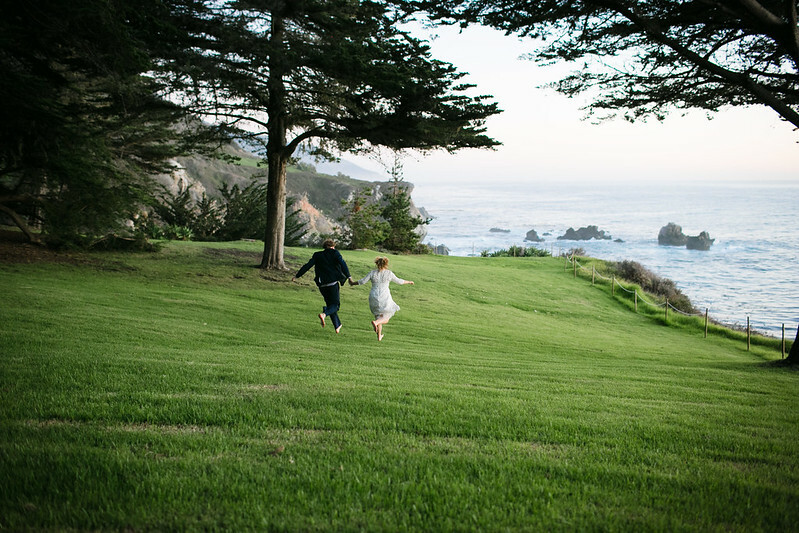 A small handful of scenes, glimpses really, mostly from our wedding day. Glimpses that come back to me in full immersion when I focus on my ring. Is that normal? I could get used to this. But hopeful not too used to it. Notes towards a future understanding of distributed documenting behavior. It’s conventional to sneer about “people living to take photos” rather then living to live. Going to a party/concert/art/explosion to photograph it rather then experience it. I’ve never really bought that. (see also: working at Flickr) I tend to be skeptical by default of activities that arise (rather then are marketed) on the edges and are denigrated by folks with cultural weight. But it struck me tonight that I think it might be part of a larger shift around identity, fluidity, and information flow. Here is the early 21st century we’re ravenous information omnivores. We also live in uncertain times, where normalcy is rapidly overthrown and little is predictable. You can (almost) imagine a world in which you could predict your life rolling out before you, I’ll live here, I’ll do that, I’ll know these people the rest of my life, we’ll have the same shared set of stories. Given the retreat from that world, the documented individual experience aren’t bragging so much as tentacles we extrude to catch moment of shared sameness. But what about all those photos we shoot that we don’t even share, what’s happening there? I’m not entirely sure, but reading 24 Hour Bookstore tonight, and having to flip back a few pages to hilight a passage that I was still thinking about, I realize that this bookmarking behaviour is probably a form of wayfinding and partially a form of commons. I think as a generation we’re actually pretty good at imagining the idea that small contributions of order actually improve the world, and that also small bits of bookmarking will help us find our way back through the river of information we’re deluged with. Or at least something is making it deeply compelling, and bragging is an insufficient answer. Ads are an ugly business. You barter away functionality, aesthetics, privacy, and performance for a marginal money maker predicated on using manipulation to get people to spend money they don’t have on things they don’t want. If you’ve ever experienced an old favorite website slowly descending into monetization (my canonical example is Alta Vista), you’ve experienced this viscerally, an old favorite slow selling off bits of itself for a few more hits of cash. Then Google came along, and they went deep, they created a narrative of transcendental advertising. Advertising so good you wanted to see it. Advertising that was net positive. Advertising that would cause you turn off your ad blocker. And if you’re in an advertising supported business you probably even believe the narrative at some level. Ignore the data about who clicks on ads and why, or the insane degradation of most revolutionary communication medium since the printed word into SEO/SEM spam farms. Transcendental advertising, advertising as liberator, advertising for advertising’s sake, advertising as a higher calling. This is what I call “business transcendental”. A philosophy that is tied to your paycheck. Watching folks responses to the iPhone 5 “Lightning” connector got me thinking about this. Apple has beautiful, breath taking reasons for launching a new connector. It’s innovative, it opens up previously unexplored options that most of us can’t even imagine yet. It’s the product of R&D by some of the best and brightest in the business, like the touch sensing pixel screen or the new thinking aluminum case. But it’s also planned obsolescence. Planned obsolescence is an ugly business. Uglier then advertising. I think, unlike advertising, most of us still recoil in disgust at gratuitous examples of planned obsolescence. Which is why transcendental planned obsolescence is so gut wrenching. Planned obsolescence as innovation, planned obsolescence as the pursuit of perfection, planned obsolescence as identity politics. Google is in the business of biz-transcendental advertising, Apple is in the business of biz-transcendental planned obsolescence. But the underlying business is as optional, and ugly as it ever was, and the transcendence is an illusion. I backed App.net. The current iteration isn’t really compelling enough for me to use it, but I recently was deeply frustrated by the lack of edit on Twitter flipped over to App.net hoping that maybe it had added this most humanizing of features, but I was disappointed. The Twitter that exists today is only one of the various Twitters that were posited over the years, it would be a shame if App.net cargo cults this Twitter rather exploring the space of Twitters. the ability to edit a tweet. There are several patterns in community software for handling the “I responded and then you changed what you said” pattern. One of then is versioning. The other is a short window of edits. It’s a question of balancing how much you prefer the conversational integrity vs the benefits of a little hypocrisy to a person’s self expression. personal context/useful search. is it a platform for brands/celebrities/robots/blowhards to broadcast or is it a place to connect with a more intimate group? Twitter’s brilliance is in mixing these, but their bread is very much buttered by the brands. This is surfaced both in their disinterest in giving you ways to organize your view (lists) and also in not providing search context (within folks I follow, my tweets, my favorites, etc). of course Twitter did roll out search from people you follow. I love it. So thank you whomever got that out. privacy. I was an early thorn in Twitter’s side about supporting the privacy settings. But honestly it was just always too much work to respond manually to follow requests or to maintain two separate accounts. Per status privacy and per status geo-privacy would go a long way towards changing the nature of what people share on Twitter away from re-publishing Mashable headlines. annotations. the ghost feature that lived it’s too brief days in the Sun. Twitter works alright as a “magic word distribution system” (to steal Aaron’s description), but briefly there was the promise of it working exceptionally well. That was annotations. Structured data that could flow along side a tweet indicating that this was me discussing what I was listening to, what I was eating, two robots discussing the weather, part of a larger narrative arc, etc. Metadata that could be displayed or ignored by clients as needed, consumed by listeners as they desired. It makes status casting into something with the potential to surprise you with it’s uses rather then to re-tread. To the extent that Twitter extracts entities like URLs, identities and hashtags already you get a sense of how powerful this could be. It both upends and plays well with the OpenGraph inspired resurgence of microformat based structure data sharing. federation. just going to leave this one here. heterogeneous sources of statuses. a tweet is in someways the irreducible atom of web content. if in the era of monied interests (everyone since Postel) we can get interop on anything ever, it should be on tweets. Those we a few I’d had my heart set on a various teams over the last 6 years. I’m sure there were others. Re-building Twitter without exploring any of the explored alternatives seems like a waste. Openness has always been my favorite trend. At Etsy we talk about it as part of our “generosity of spirit” value. Just wanted to call out how much I’m loving seeing this trend on the blogs and engineering blogs across the industry. Our What Hardware Powers Etsy.com?, was in part inspired by 37Signals Behind the Scenes: The Hardware that Powers Basecamp, Campfire, and Highrise. I’d love to see more teams posting in this series. And our recent post taking a non-technical approach talking about a series of recent outages, felt a little less lonely, and risky, knowing out there with Soundcloud’s Shoot yourself in the foot with iptables and kmod auto-loading, and Simple’s Transparency. This is how we get better as an industry. Though sustainability is a close second. Sometimes they flip flop. But that wouldn’t have been relevant to this blog post. I backed Postcards from Erik the Red’s House a while back. I like the small projects on Kickstarter, they make me happy, as does Iceland, as does someone writing their first novel. 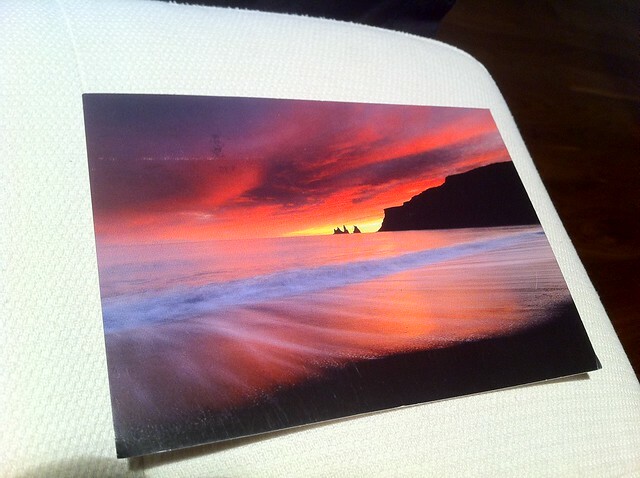 Today my postcard arrived. It was a sunset in Vik. 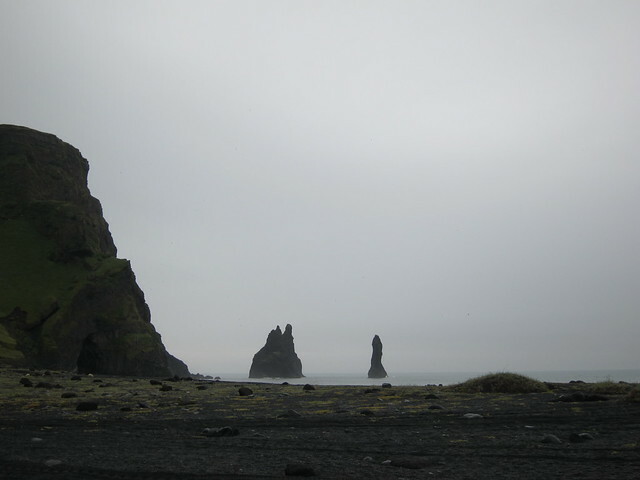 In particular it was of Reynisdrangar, 3 black basalt stacks just west of Vik. I’ve seen Reynisdrangar. In fact I woke up on a black sand beach, surrounded by sheep, looking out at Reynisdrangar. We pulled into Vik late in the day. We’d been on the road for 5 or 6 days or so at this point in our circumnavigation of Iceland. We’d planned to drive on further, but as the road climbed up out of Vik we were exhausted. Also Jasmine had bought a funny hat at Vik wool. I’m not sure if that’s relevant to the story. We turned off on a side road at the top of the hill looking back over Vik, and drove until the road turned to sand, and we could see waves in the last of the day light. We pitched the tent by head lights, and went to sleep. And woke up the next morning, unzipped the tent and found a flock of sheep, and Reynisdrangar. Camping on that beach is one of my favorite memories. Nice to be reminded of it. This is the network, making the world demonstrably better. That is all. oldtweets is a search engine for the first year of Twitter. A bunch of folks asked about the how. The Twitter API provides a method for fetching a tweet by ID. So to build an index of the first year of Twitter you need call the api for each ID in the range of IDs 1-20,000,000. 20 million API calls at the rate of 150 calls per hour. Or roughly 15 years of elapsed API time to index year one. From there it’s just a question of patience. The whole things runs on a very small EC2 instance, and it’s on this week’s todo list to get the index running under Upstart, but it hasn’t happened yet. So if it goes away…. Providing an interface to the whole corpus was motivated by the desire that folks would investigate where the social norms arose, exactly like Rabble’s @-reply investigation. I thought year one was a meaningful symbol. It maps to the time when we were figuring out how to use Twitter, and maps to the time when I felt like the service was working best for me and mine as an “ambient intimacy” service. Additionally after SxSW 2007 the rate of tweeting increased significantly, making the brute force approach even slower.